Steven Gerrard, Adam Lallana and Jordan Henderson starred as Liverpool came from one down to overwhelm Leicester and pick up back-to-back wins. It was a devastating start for the Reds who were stunned after an own goal was ruled when the ball came back off the post to hit Mignolet. A breathtaking atmosphere reverberated around the King Power Stadium ahead of the first meeting between the two sides in a decade. The Reds got the ball rolling although would squander possession with a poor long pass seconds in. Indications from the introductory phase however pitted the game in favour of the visitors, as Raheem Sterling almost latched on to a searching ball, but the young forward was unable to hit his full acceleration in order to register the first chance at Casper Schmeichel's goal. Brendan Rodgers' men reverted their focus back to more of the basics as they dealt with a corner far less frantically than we've seen in their previous games. Leicester defender Morgan did somehow manage to beat Kolo Toure and Martin Skrtel in a responsive ball yet Mignolet's goal was unscathed. With speculation over his future plating his involvement in the game, Liverpool skipper Steven Gerrard looked well up for the fixture in the early stages. A fizzing ball in from a free-kick won on the left was headed wide by Skrtel although the Slovakian protested it took a deflection on its way out. Minutes later he almost found a surging Javi Manquillo on the right but by the time the Spaniard cut it back for a cross it was ruled out of play. Racing on the retort saw the Foxes' fans be out of their seats for the first time. A counter attack which saw Leonardo Ulloa initially pick up the ball ended at the feet of Jamie Vardy yet the former Fleetwood striker was reluctant to take Kolo Toure on and slashed wide. One of the most entertaining battles of the game entailed De Laet and Sterling on the left flank. The Belgian provided some good contention in terms of pace on that sector of the field but the 19-year-old, playing his 97th game in a Reds' shirt, got the better of him—drawing a foul, and causing some more shouts for suspected incidents later. Simon Mignolet was spared of a horror story in the 20th minute when a terrible pass out fell to Cambiasso, and with a gaping goal from far out, the Argentine scuffed it wide. However, as the back-and-forth action commenced the hosts would take a shock lead. After Glen Johnson charged into the final third prior to his dispossession, Mahrez would find Vardy whose shot was partially stopped by Mignolet however was still on course for goaol. At the first time of asking, Martin Skrtel was there to head the ball away, but when it fell back out to Ulloa, he controlled it and struck it against the post, coming off the back of the Liverpool keeper and into goal to ignite sensations amid the sellout crowd. Leicester were playing so much more positively following the goal but that would soon change when the visitors got things back in their favour. Steven Gerrard whipped a free-kick in from the left, but a resolute defence sent it back out towards Lucas Leiva. The Brazilian's high ball in saw Schlupp beat Lambert to meet it, and it fell graciously into the path of Adam Lallana, who struck it solidly, fizzing into goal. Martin Skrtel's thumping header off Gerrard's corner was salvaged with a block on the line, as slowly, but surely, Liverpool grew in confidence. Relaxation was far from an option however, with Ulloa taking the ball from Manquillo, and his cross ended with a poor volley attempt from Mahrez. The game somewhat flattened in the run up to the half-time break. Liverpool got closer and closer yet Leicester showed some sting when they picked up possession. Drama was indeed reserved for the second half. Leicester were off to a blistering start as the second period commenced. The Reds, with Moreno now on, guided the ball away with authority, but it fell back out to enemy lines ending with Jamie Vardy's shot ricocheting of Steven Gerrard out for another corner. The Reds managed to weather the early storm and came out stronger as a result. Morgan's poor clearance trickled right out to Gerrard dead center of the box, and the captain strode to drill it low into the bottom right corner as the skipper gave his side the lead. Ulloa's shot went astray of goal, Mahrez's later attempt was forever rising, as glum looks filled the faces of the Leicester supporters. It went from bad to worse when Wes Morgan was sent off after the hour mark for a foul on Rickie Lambert as the last man back. From the free-kick, Lambert couldn't meet it and the Foxes broke swiftly. Liverpool skipper Steven Gerrard was booked for a rash foul, and the hosts would fail to seize the initiative with the subsequent free-kick. 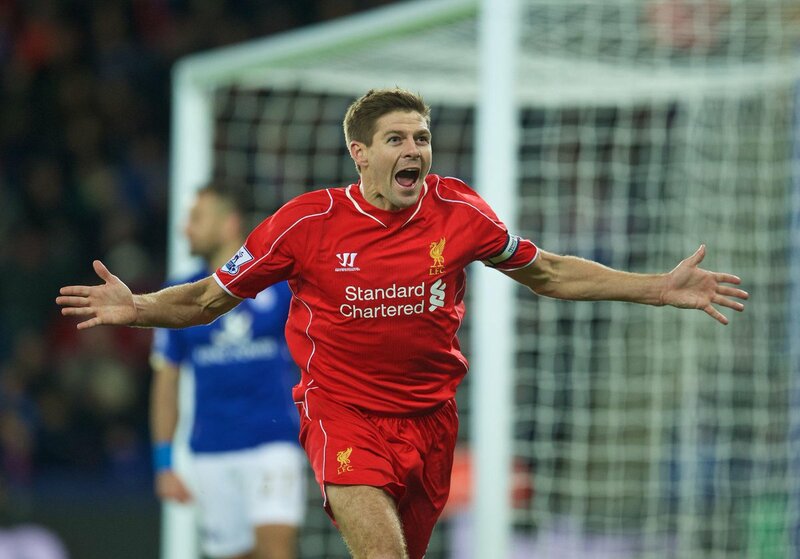 Steven Gerrard was livid after the referee waved off his 73rd minute penalty appeal. The flag stayed down for the former England captain, before Schmeichel appeared to collide with him as he looked to take it round. Instantly on the other end, Liverpool were sighing with relief as Cambiasso's shot came off Ulloa for a goal kick with Leicester piling on the pressure. A ball in saw Mahrez's heavy touch let him down, before another failed break ended with a Liverpool opening. Lambert couldn't pinpoint the pass to Gerrard. The corner that followed eventually fizzled out. Liverpool surely wrapped it up through Jordan Henderson when they finally succumbed to an attack from the Merseyside contingent. Schmeichel spilled the ball allowing Sterling to backheel to Jordan Henderson who smashed it past the defender into goal. A cluster of attempts were defiantly blocked as the Reds further zeroed in on victory. Mahrez was blocked at ease before a big shot from James was stopped by a huge block from the head of Martin Skrtel. He had to receive treatment but nothing was too serious as he was able to continue playing. "You'll Never Walk Alone" began to ring around the King Power Stadium as a victory came all the more closer. Leicester remained a threat, but Liverpool's two goal cushion allowed them to deal with it accordingly. 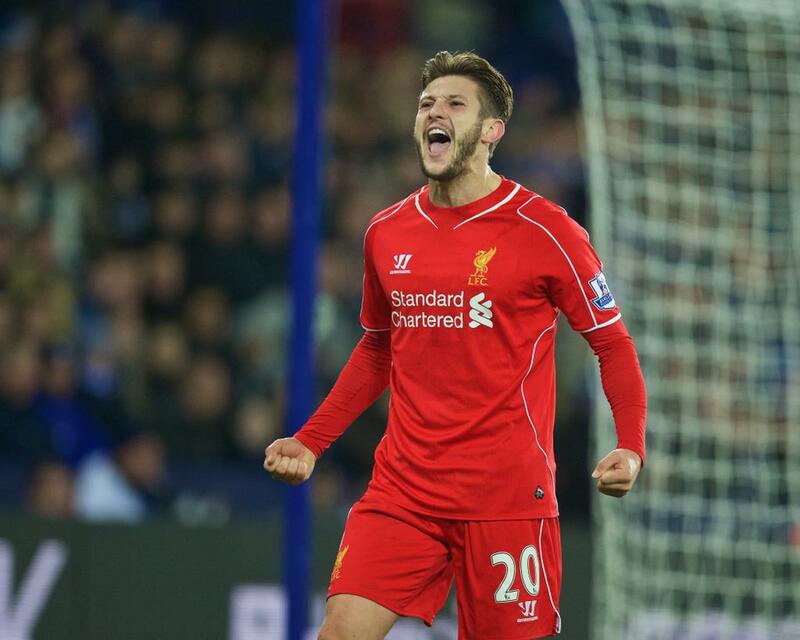 A complete match report for Leicester vs. Liverpool in the Barclays Premier League on 2 December 2014.